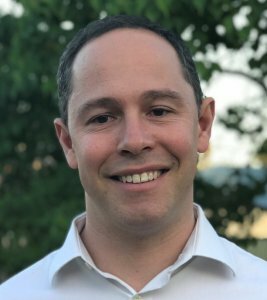 Nick Averbuj is an experienced Psychologist in private practice who provides eating disorder treatment for those with disorders such as anorexia or bulimia in Perth from our Applecross location. An eating disorder is an illness that causes significant disturbances to your everyday diet, such as eating extremely small amounts of food or severely overeating or binge eating. In their more severe forms you can feel all consumed by thoughts about weight, food, trying to gain control yet struggling against feeling out of control. Often this occurs in silence as you hide your struggles from others. Eating disorders such as anorexia, bulimia, binge eating or body image issues can be linked to experience of depression, anxiety, confusion and emotional torment. Often with eating disorders there can be an internal battle between the part of you that wants to recover and the part that doesn’t. Anorexia is characterised by low body weight and body image distortion with an obsessive fear of gaining weight that manifests itself through depriving the body of food. It often coincides with increased levels of exercise and vomiting. Is therapy an effective eating disorder treatment? Therapy for eating disorders can help you to trust your better self, so you can create a meaningful, joyful life that isn’t controlled by food. People with eating disorders will benefit from help from a psychologist experienced in eating disorders. If weight loss is severe then a stay in hospital may be needed. We can help you decide on the best way forward. Nick is able to work with individuals and families in facilitating and supporting the treatment of eating disorders and weight management issues. Nick can provide you with a safe and supportive environment to explore what the feelings underneath your eating disorder are. By exploring these underlying feelings you have a chance to overcome the negative feelings and the unhealthy behaviour patterns that are consuming your life. Nick can work with your concerns about weight and food and help you resolve deeper issues such as relationship breakdowns, self esteem, grief, loss and trauma. Nick is also experienced in treating anxiety, perfectionism, panic, low self-esteem and depression. Please call our office to book an initial consultation with Nick so she can discuss your treatment options.